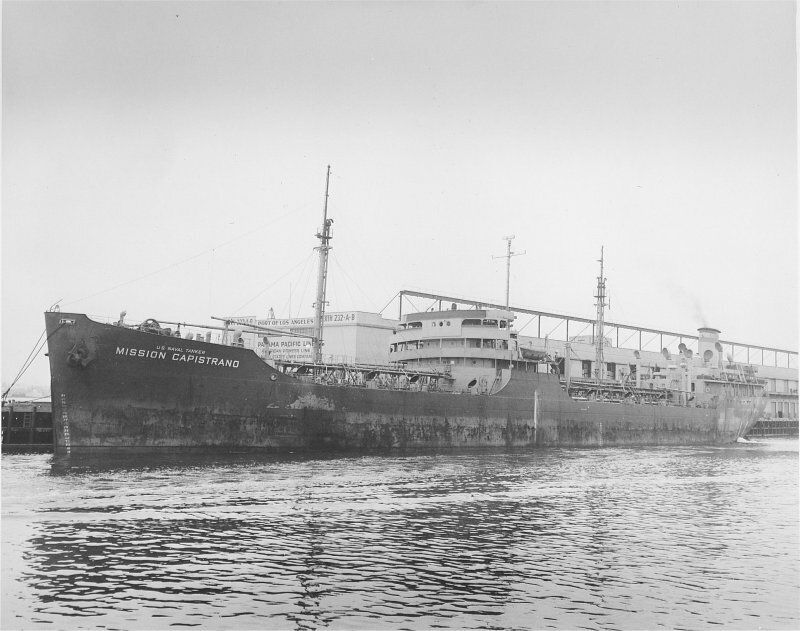 Laid down, 29 February 1944, as SS Mission Capistrano a Maritime Commission type (T2-SE-A2) tanker hull (MC hull 1819) under a Maritime Commission contract at Marinship, Sausalito, CA. 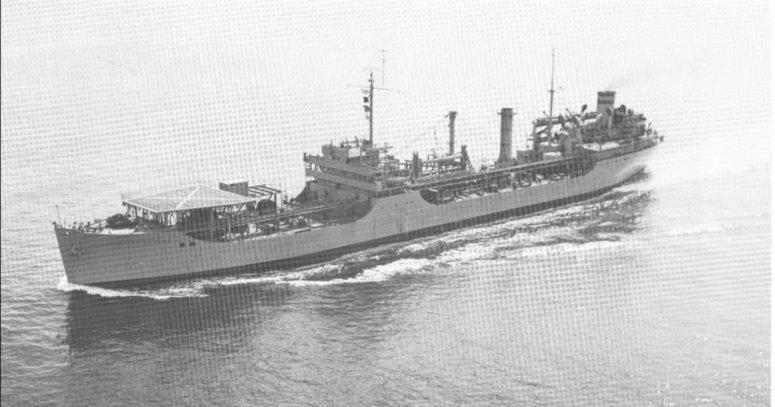 Returned to the Maritime Commission, 20 April 1946, for lay up in the National Defense Reserve Fleet, Mobile, AL. 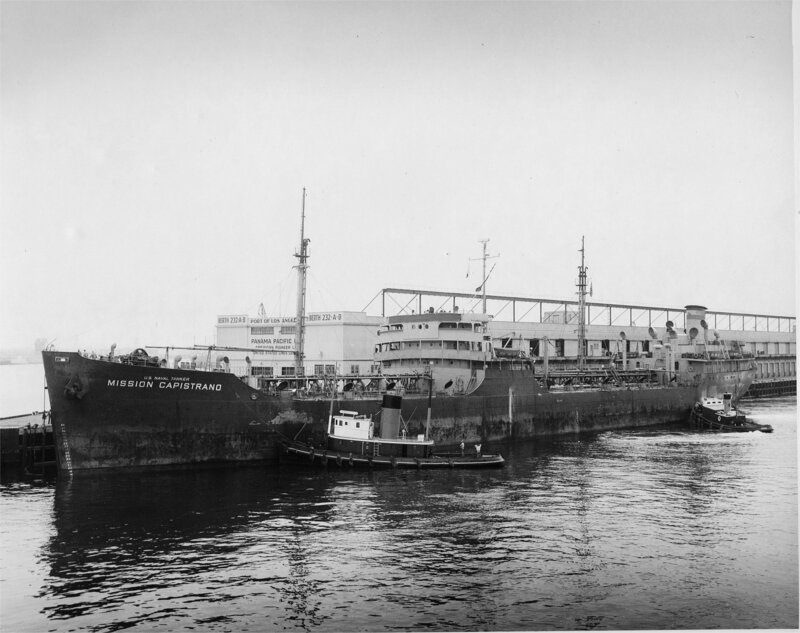 Transferred to the Maritime Administration for lay up in the National Defense Reserve Fleet, Beaumont, TX. Sold for non-transportation purposes, 10 July 1972, to Boston Metals Co.
two turbo-drive 400Kw 450V A.C.
two turbo-drive 85Kw 120V D.C.
two turbo-drive 55Kw 120V D.C.
one turbo-drive 50Kw 450V A.C.
57k USNS Mission Capistrano (T-AG-162) underway, date and location unknown. 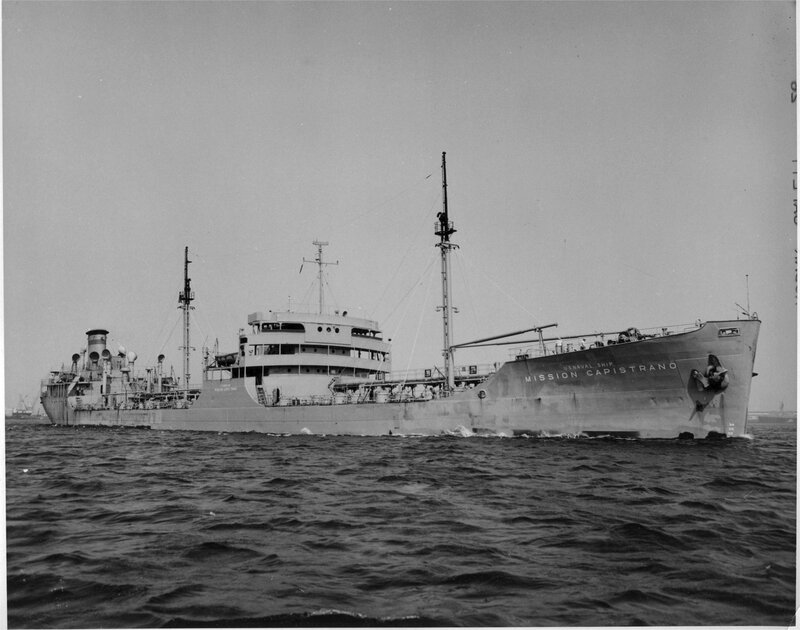 70k USNS Mission Capistrano (T-AG-162) at anchor, date and location unknown. 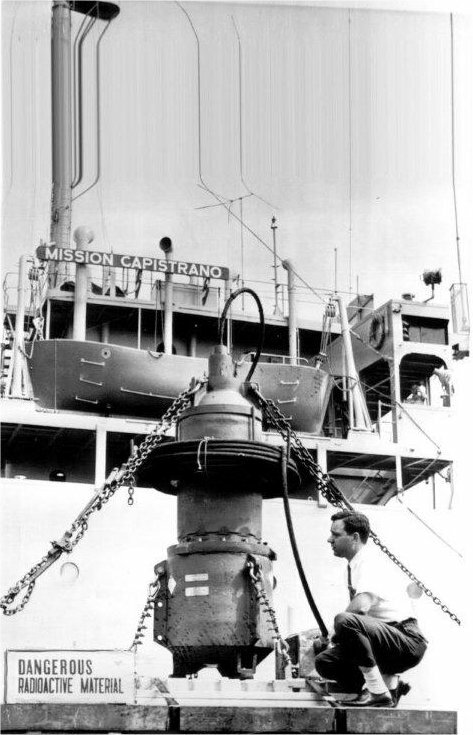 74k USNS Mission Capistrano (T-AG-162) loading an experimental atomic powered navigation beacon at Bayonne, N.J., 20 September 1962. 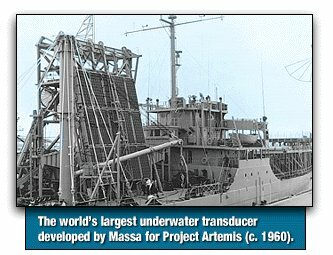 The beacon was placed on the bed of the Atlantic Ocean, 2,500 fathoms of water, 700 miles off the coast of Jacksonville, FL. At right is Nick Renna, engineer for the builders, Martin Marietta.